Suzuki Samurais are not only lightweight, but they’re tough as nails, and have the approach, departure and breakover angles to climb and crest even the gnarliest hills. But most importantly, they’re small. Really small. Samurais are so small, in fact, that you can park one in the bed of a standard Chevy pickup. Off-roaders often trailer their rigs on flatbeds, in part, because their machines just aren’t built for highway use, and also because it’s always nice to have a way home if the trail claims a diff or steering knuckle. 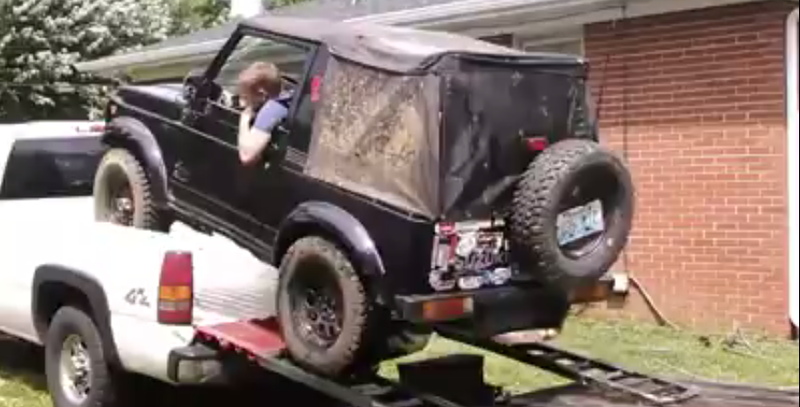 But as Jeeps With Attitude shows us in this video, not all off-road toys need flatbeds; in some cases, ordinary pickups will do just fine. Now to see if I can fit my CJ-2A in the back of my J10.